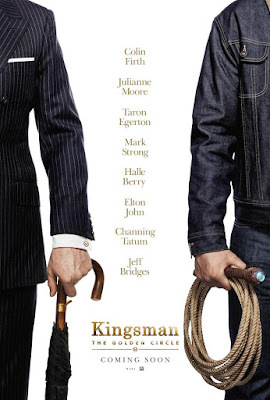 Film-Arcade.net: New Trailer for the Upcoming Action Sequel "Kingsmen: The Golden Circle"
New Trailer for the Upcoming Action Sequel "Kingsmen: The Golden Circle"
20th Century Fox recently released the first trailer for the upcoming anticipated sequel "Kingsman: The Golden Circle". The film stars Colin Firth, Julianne Moore, Taron Egerton, Mark Strong, Halle Berry, Sir Elton John, Channing Tatum, and Jeff Bridges. "Kingsman: The Golden Circle" hits theaters on September 22nd.